President Donald Trump has just arived in China, his 3rd stop in his on-going 12-day Asian tour. 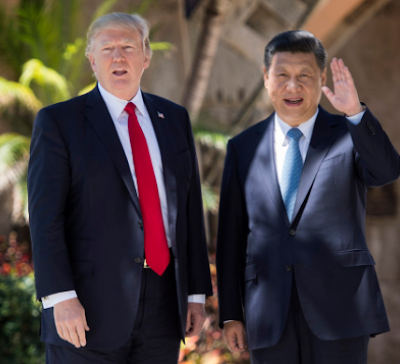 While in China, Trump will receive an honor in Beijing that has not granted to any US President since the founding of the People's Republic of China. He'll have an official dinner inside the Forbidden City; the historic palace that housed Chinese emperors and their families for almost 500 years. Trump is expected to dine with Chinese President Xi Jinping inside the Jianfu Palace. The building dates back to the eighteenth century and was fully restored in 2005, making it one of the most well-preserved parts of the palace complex. Wherever he dines in the Forbidden City, Trump will be the first foreign leader to have an official dinner in the palace since the founding of the People's Republic in 1949.